Genuine Lemon RX DSMP/X 7 Channel Receiver with 6 axis Gyro Stabiliser and Diversity Antenna. End Pin Version. Fully DSMX and DSM2 Compatible. Modulation: Proprietary DSMP/X (DSMX and DSM2 compatible with auto detection of both modes). (1) This is not a Spektrum DSMX or DSM2 product, nor is it a copy of a Spektrum DSM2 or DSMX product. Modulation: DSMP (DSMX and DSM2 compatible). Transmitter is off / signal loss). There are 3 possible setting which are. This LCD Screen FPV receiver monitor with stable performance and clear image quality. 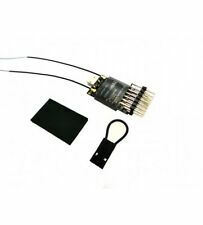 Small size and lightweight, a simple and effective accessory for FPV drone. Item Type: FPV Receiver Monitor. 1 x FPV Receiver Monitor. (Industry best size/performance with very condensed circuitry design. 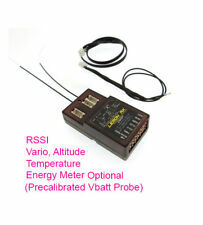 This receiver is designed to fit any type of applications such as planes, helicopter, FPV and copters. 1) This is not a Spektrum DSMX or DSM2 product, nor is it a copy of a Spektrum DSM2 or DSMX product. (Modulation: DSMX Compatible (Also DSM2 backward Compatible). Type: DSMX Compatible Full Range Receiver with Diversity Antenna. 1) This is not a Spektrum DSMX or DSM2 product, nor is it a copy of a Spektrum DSM2 or DSMX product. 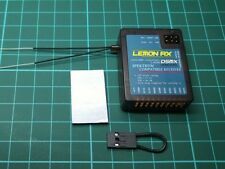 Genuine Lemon RX 10 Channel Receiver with Diversity Antenna DSMX ( DSM2) Spektrum Compatible ALL Channel Failsafe UART. Type: DSMX Compatible 10 Channels Full Range Diversity Antenna Receiver (Failsafe with UART output). 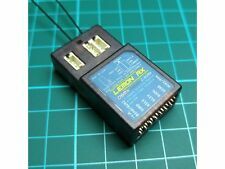 Genuine Lemon RX 7 Channel Receiver with 3 axis Gyro Stabilizer DSMX Spektrum Compatible and DSM2 Backward Compatible. Modulation: DSMX Compatible (Also DSM2 backward Compatible). Type: Stabilizer with DSMX Compatible 7-Channel Full Range Diversity Antenna Receiver. 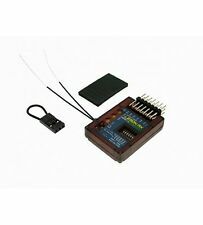 FuriousFPV True-D V3.8 5.8G 40CH Diversity Receiver System For Fatshark, UK! Application: FatShark Dominator V1, V2 & V3 goggles and Fatshark HD V1, V2, V3 goggles. (Fatshark googles are not included!). New V3.5 Updates Connector : SMA. Working Mode. Manual Mode. Make life simple. The Spektrum DSMX Quad Race receiver provides a high speed serial data connection with up to 18 channels. It's small and lightweight providing an excellent receiver for even the smallest of applications. Eachine FPV Monitor 7"Display DVR 40CH Dual Diversity Receiver For RC Drone New. Type: FPV Monitor. With DVR Function. Built-in 5.8Ghz dual diversity receiver automatically for best reception. Work Status OSD Display: RSSI indication, Battery indicator, Channel indication. Genuine Lemon RX DSMP/X 7 Channel Receiver with 6 axis Gyro Stabiliser and Diversity Antenna. Top Pin Version. Fully DSMX and DSM2 Compatible. Modulation: Proprietary DSMP/X (DSMX and DSM2 compatible with auto detection of both modes). With built in 2ch diversity reception, Auto scan, 32Ch on 5.8GHz, a full LCD display that shows band/channel and frequency. 1 x FR632 receiver. Receiving frequency ISM 5.6GHz-5.95GHz 40CH. Outputs RF1, RF2, Diversity. Also included with the receiver are 2 antennas. Fits the most slender of glider fuselages. Programmable MK mode, emits raw PPM on a chosen channel. The EzUHF Rx is an ideal receiver to use on Mikrokopters used for longer-range flights. This module fits Fatshark Dominator goggles. Everything shown in the pictures is included. Designed for the FatShark Dominator V2 & V3 and HD V1 & V2 Goggles, Dominator SE goggle and HDO's. Application: FatShark Dominator V2 & V3 and HD V1 & V2, Dominator SE Goggles. This is a Full Range DSMX PPM receiver andand it is also backward compatible with DSM2 transmitters, as such it will work will work with any DSMX or DSM2 transmitter such as Spectrum or Orange etc. Lemon 8 Channel DSMX Full Range PPM Receiver with Diversity Antenna Plus Failsafe. Work status OSD display : RSSI indication ; Battery indicator;Channel indication. Work status OSD display:Always be aware of the device working condition. Built-in 5.8Ghz Dual diversity receiver automatically for best reception. (1) This is not a Spektrum DSMX or DSM2 product, nor is it a copy of a Spektrum DSM2 or DSMX product. Modulation: DSMX Compatible (Also DSM2 backward Compatible). 2) This is not an underground black market fake Spektrum product. The cover WILL NOT FIT FatShark Attitude goggles. This is only to indicate the goggles this cover is suitable for. No goggles are included in this sale. Also included with the receiver are 2 antennas and cables. Fits the most slender of glider fuselages. Programmable MK mode, emits raw PPM on a chosen channel. The EzUHF Rx is an ideal receiver to use on Mikrokopters used for longer-range flights. Eachine PRO58 RX Diversity 40CH 5.8G OLED SCAN VRX FPV Receiver for FatShark Goggles. Great RX part for FatShark or similar Goggles;. Customized booting LOGO of EACHINE. Full compatible with all series FatShark Goggles.